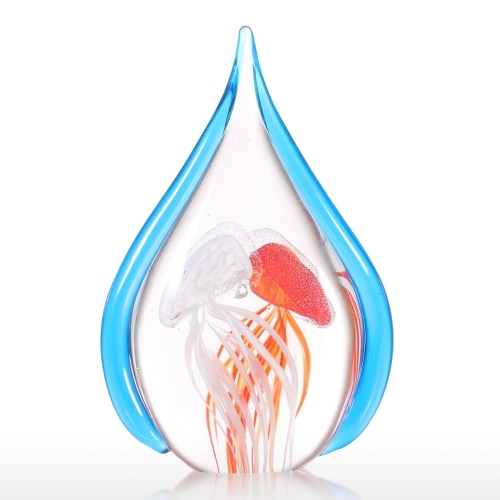 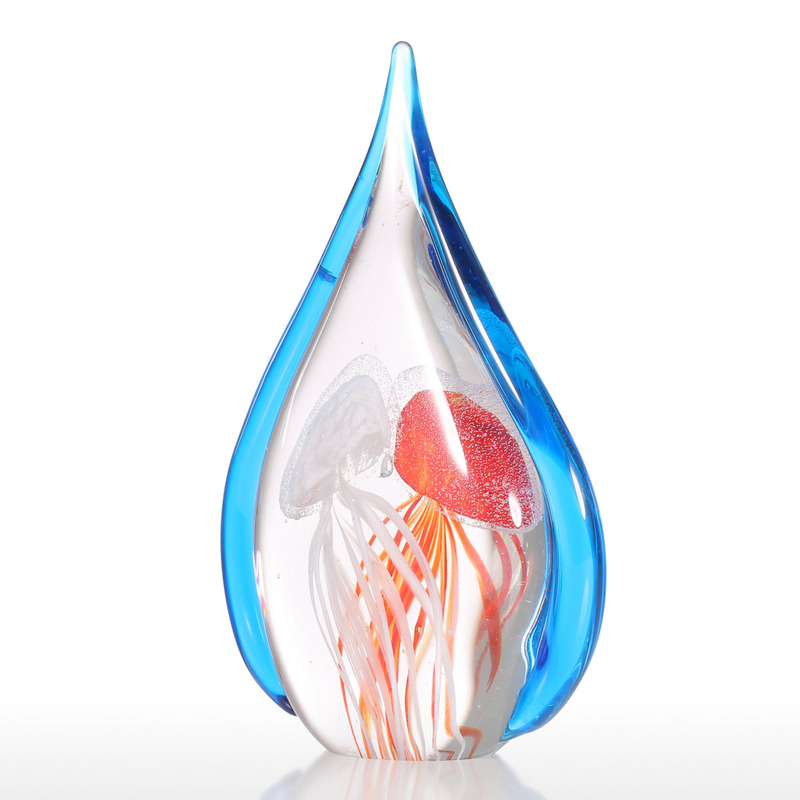 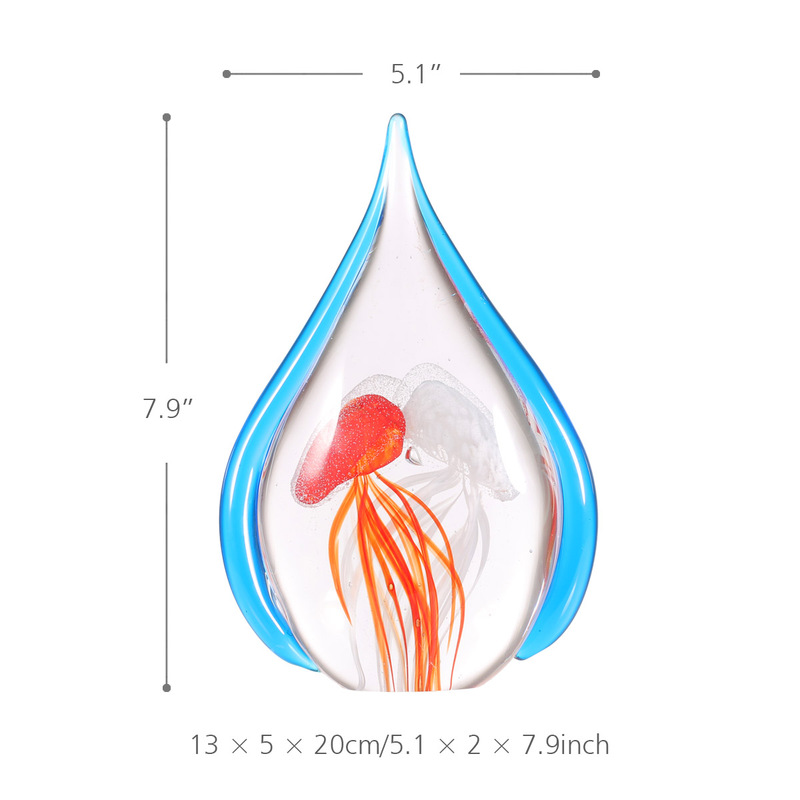 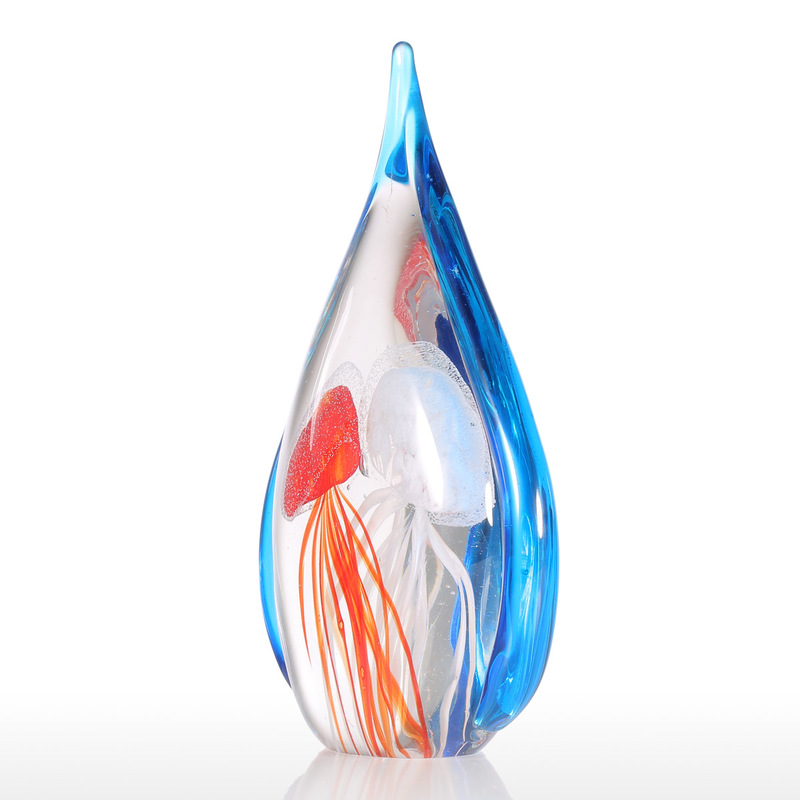 In the middle of the blue border teardrop-shaped glass model, a red and a white jellyfish are swimming freely like a pair of lovers, the contrast of colors are obvious and harmonious. 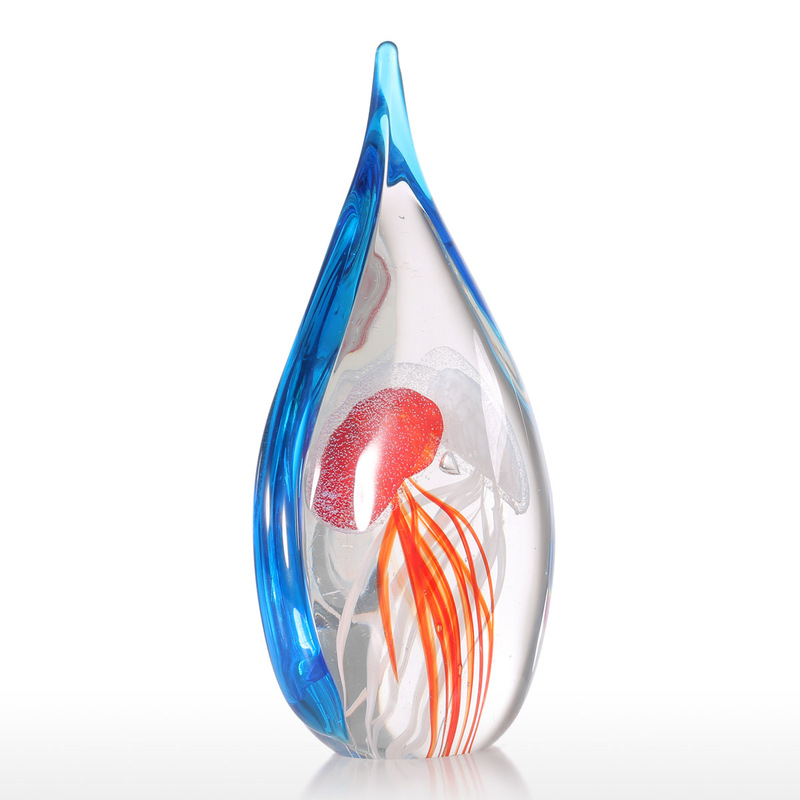 Jellyfish with beautiful styling, harmonious feeling. 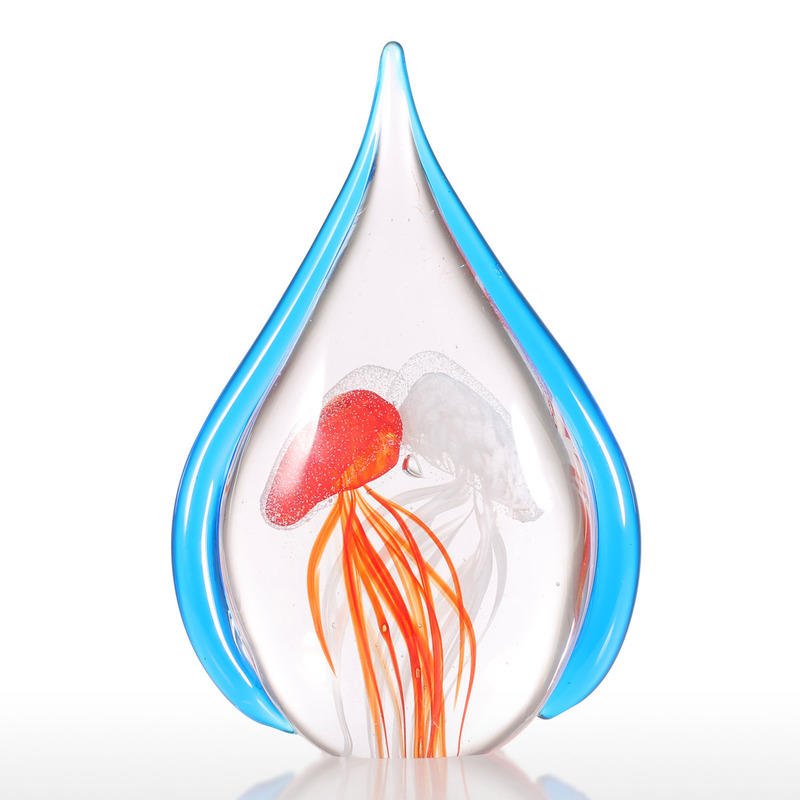 The dynamic swimming motion was remained in the sudden.